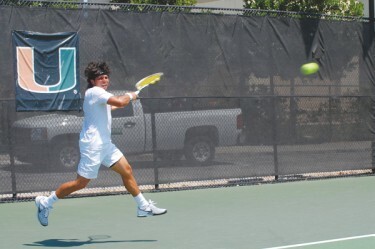 It was a successful summer for the Miami Men’s Tennis team. The men advanced to their first ever ACC championship match, had a doubles team ranked in the nation’s top five and reached the second round of the NCAA tournament. The team was seeded seventh in April’s ACC tournament, but it pulled a string of upsets to reach the championship match against the undefeated University of Virginia, ultimately falling to the national No. 1 Cavaliers. The Canes then regrouped for the NCAA tournament. Miami beat South Florida in the first round of the NCAA tournament, but fell to rival Florida in the second round by a score of 4-1. In the doubles bracket, the team of Daniel Vallverdu and Carl Sundberg was seeded third, but they failed to get past the round of 16, losing to the 21st ranked team from Ole Miss. The good news for the team is that the two will be returning for next season. The Women’s Tennis team was not quite as successful at the ACC championships as the men, but they did fare better in the NCAA draw. The women were seeded sixth at the conference championships but fell to archrival Florida State in the second round. Although the team would have liked to have won the ACC title, the loss did give the team the opportunity to work on an areas of concern before entering the NCAA tournament. Ranked No. 12, the team hosted a regional in Coral Gables for the fourth straight year. In their first two matchups, the Canes advanced without dropping a match, shutting out Quinnipac and Notre Dame 4-0 each. With the win, the women moved on to their fourth sweet sixteen appearance in five years. The Canes were unable to get out of the round of 16, though, falling to No. 5 Baylor 4-1. In individual play, Laura Vallverdu advanced to the round of 16 in singles, and duplicated that effort in doubles with partner Romy Farah. The season ended for the Hurricanes at the hands of the best. 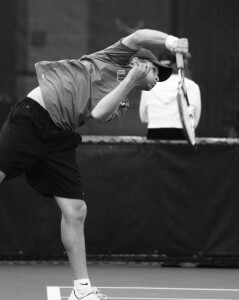 Vallverdu lost in singles to No. 1 Aurelija Miseviciute of Arkansas. Vallverdu and Farah lost to the top ranked doubles team of Tracey Lin and Reka Zalameda of UCLA to end their doubles run. The All-American siblings – Laura and Daniel Vallverdu – will be returning next season in hopes of leading their respective squads to ACC and NCAA glory. Who Makes Up Your News?